We have heard of lots of young hunters shooting big animals, but none quite as accomplished as an 8-year-old boy in Maine who recently completed the hunting grand slam. The distinction means that a hunter has bagged a wild turkey, bear, moose and deer all in a single calendar year. 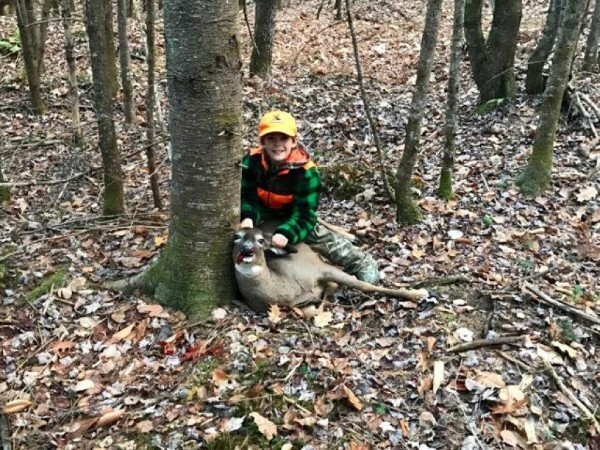 Maine wildlife officials don’t want to say whether 8-year-old Brycen Waugh is the youngest to achieve the distinction because they don’t want to encourage parents to put unprepared children in harms way, according to the Bangor Daily News. In the case of young Brycen, the feat just became possible this year as the state relaxed its hunting age laws. Until last year, hunters had to have reached their 10th birthday. Brycen reportedly began preparing early, having practiced with his father shooting a .410 shotgun and .243 rifle. His first hunt began in the spring when he took down a 10-pound wild turkey with a 20-gauge shotgun. Next up is a bear, if you can believe, he and his father stalked with bear bait from a ground blind. After reviewing footage of their nearby trail cam, Brycen made the kill shot on the 133-pound animal with a .223 rifle. For the moose hunt, Brycen was able to be the shooter as a “sub-permitee” on his grandfather’s tag. And sure enough they got one. And finally, all he needed was a deer, which came on Nov 11, which Brycen shot with a .30-06. Now that’s some impressive shooting for a little guy!